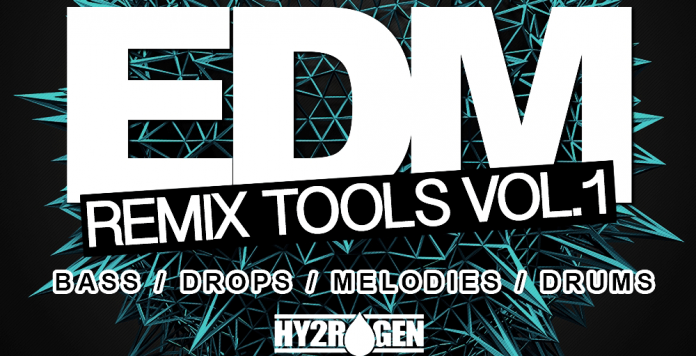 Following the success of the “EDM” sample pack, HY2ROGEN returns with a special series of sounds, titled EDM Remix Tools, providing more inspiration for your next anthem track. This first edition of “EDM Remix Tools” features a blend of mainroom sounds infused with a mixture of electro house, progressive house, melbourne bounce and future house ingredients. Packing 795MB+ of content, the sample pack comes with infected bigroom basslines, epic hooks, drops & leads, lush and ecstatic chords and melody loops, must-have top loops, essential effects and snare rolls & fills. The content is broken down into 7 main folders: Bass Loops, Drum Hits, FX, Hooks & Drops, Melody Loops, Snare Rolls & Fills and Top Loops. You also get REX2 files for all the drum loops and software sampler files for the entire drum one shots. All of the musical content comes as 4bar WAV loops, key and tempo labelled and with DRY & WET exports, along with an extra beat just to catch the reverb/delay tails for the wet exports, essential for seamless looping. MIDI files are also included for every bass, lead and melody loop. We have also prepared the usual Apple Loops version of this sample pack to make your life easier if you are a Logic user.